Thank you for joining us for part 2 of the Global Sale-a-Bration Farewell this week. In case you missed part one you can click here AFTER you see this one. :) We don't want you to miss out on a thing. 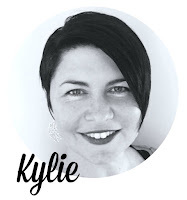 You may be starting here or have come from the incredibly talented Caroline van der Straaten's blog. 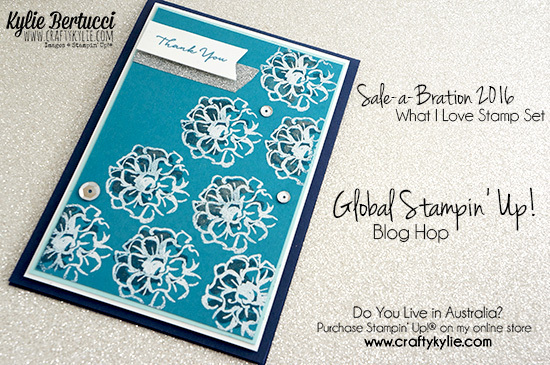 Either way there is a list at the bottom of the page for you to be able to hop around and see all these incredible projects using the Sale-a-Bration products. We have 14 other incredibly talented and well known demonstrators from around the globe. Currently you are in Australia! So, if you live in Australia and are looking for a demonstrator I would love to look after you. Remember there is a great joining special during Sale-a-Bration that you can take advantage of I have a fantastic team from all around Australia. I really wanted to use this stamp set in a bold way - and I love how this turned out. 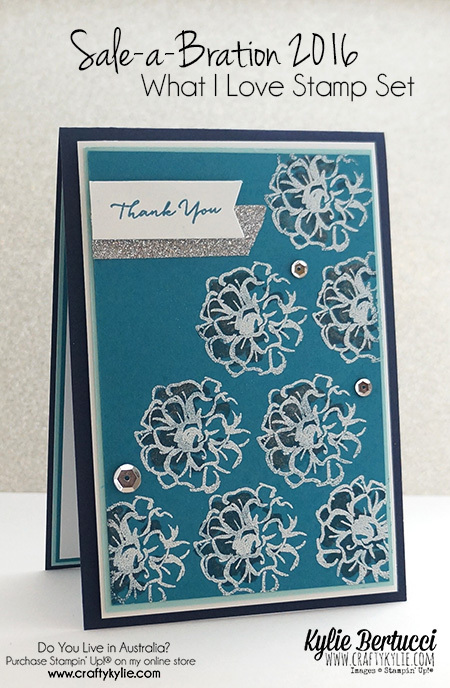 The What I Love stamp set can be soft and feminine or bold and striking like my card today. I don't use many embellishments and love the layers, clean lines and bold colours and despite that these are flowers I somehow made them look geometric in the way that I positioned them. I also used some of the Sale-a-Bration Metallics Glitter Tape. If you don't have these tapes yet - YOU NEED THEM! Oh my they are so lovely. You will be so happy when you get them as there are so many ways you can use them. I love the bit of bling that it adds to this card. I added some of those stunning sequins from the Cottage Greetings Card Kit. I love that they are different sizes. It is worth getting that kit as you get LOTS of extras. Thank you for joining me today! If you like what you have seen today and want to see more then sign up to receive my blog posts via email. Click Here. Remember that you only have SIX DAYS left to get the Sale-a-Bration items that you have wanted. Plus there are so many gorgeous items from the Occasions and Annual catalogue that you want to purchase now while you get an extra rewards. If you live in Australia, let me look after you. I would love to have you as a customer or team member. Next up we have the wonderful Sarah Berry who put these blog hops together. Thank you so much Sarah! You are a gorgeous person and I appreciate all the work organising this successful hop. Look at all this inspiration we now have because of Sarah's great idea.